One’s golden years should be a time to relax and enjoy life. However, abuse in long-term care facilities is a common problem that too many elderly individuals are the victim of. If a parent or someone else close to you has suffered from any form of nursing home abuse, the lawyers at Potomac, MD’s Shulman Rogers may be able to help. For more than 40 years, we have been representing the victims of personal injury and medical malpractice. Let us review the details of your case and go over your options with you. Bedsores: Bedsores are common in nursing home patients with mobility issues. It is the responsibility of care providers to ensure they are quickly identified and treated. If your loved one is suffering from lingering or repeated incidents of bedsores, it may be a sign of neglect. Malnourishment: Poor nutrition is another common sign of neglect in nursing homes. Be on the lookout for weight loss, lethargy and repeated infection — any of these may indicate that your loved one is not getting the nutrition needed to live healthily. Falls: Slip and fall accidents can be especially dangerous for older adults. Nursing homes must have accessible facilities and appropriate prevention measures in place to reduce the likelihood of injury. Emotional abuse: Not all forms of neglect are physical. When your loved one complains of poor treatment, don’t dismiss it out of hand. Follow up with staff for more information to ensure they are not suffering from emotional abuse. Financial abuse: Unfortunately, financial abuse is a common problem among nursing home residents. Always follow up on suspicious activity in your loved one’s bank account or credit card statement. Sexual abuse: Sexual abuse in nursing homes can be very difficult to discuss and investigate. If you suspect your loved one has been the victim of unwanted sexual contact or other inappropriate behavior, report the incident to the police immediately. No one should have to suffer from physical, emotional or sexual abuse or neglect, no matter how old they are. When you take legal action against a facility that has been affecting the health and wellbeing of your loved one — whether through negligence or malice — you send a powerful message that elder abuse will not be tolerated. 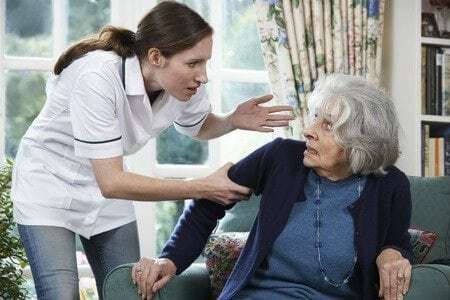 For many, the point of meeting with a nursing home abuse attorney is not necessarily to be compensated for the incident but simply to warn others and help ensure they do not suffer in the same manner. If your loved one has incurred medical bills or other expenses as a result of poor treatment, a nursing home abuse lawsuit is an excellent way of protecting yourself financially, too. Located in Potomac, MD, the nursing home abuse attorneys at Shulman Rogers are conveniently located for clients anywhere in the DC metro area. Your initial consultation with our team is both cost- and obligation-free. If you choose us to represent you and your loved one, we will provide open communication and knowledgeable counsel every step of the way. Call or email our office to get started immediately.